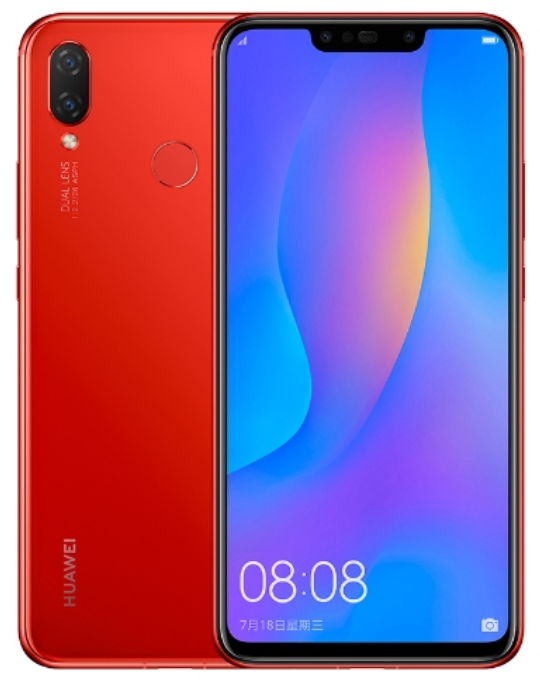 Huawei Nova 3i is now available in Red as well - Playfuldroid! When the Huawei Nova 3i was first announced back in July this year, the device is available only in 3 different color options namely Black, Pearl White, as well as Iris Purple. Right now however, the Chinese manufacturer is ready to introduce a brand new Red color variant of the smartphone as well – and is already available for purchase in the Chinese market. Sad to say, only the 4GB+128GB and 6GB+64GB models will be receiving the new color treat. The 6GB+128GB model on the other hand, will not be available in this exquisite color option. Aside from the cosmetic differences, the Red variant will still be arriving with the same specs as the rest of the Huawei Nova 3i models which include: 6.3-inches display with 1080 x 2340 pixels screen resolution, Snapdragon 710 SoC, 16MP+2MP dual-main snapper, 24MP+2MP dual-selfie cam, EMUI 8.2 atop Android 8.1 Oreo, as well as a 3,340mAh non-removable battery. For those who’re interested, the 6GB+64GB model will cost 2,199 Yuan (US$320), while the 4GB+128GB model will arrive slightly cheaper at just 1,999 Yuan (US$ 291).